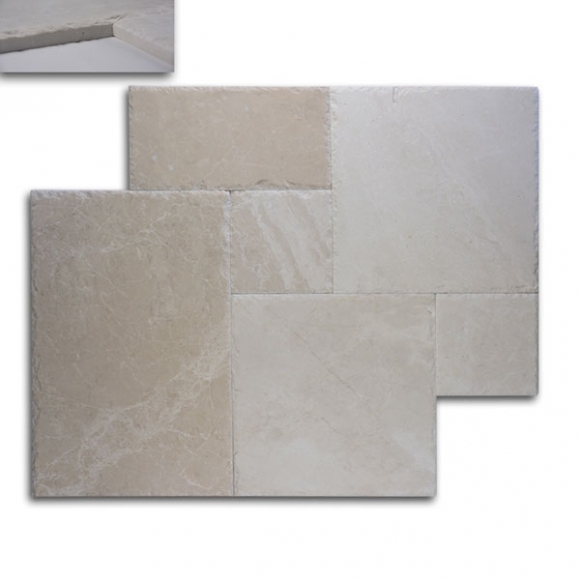 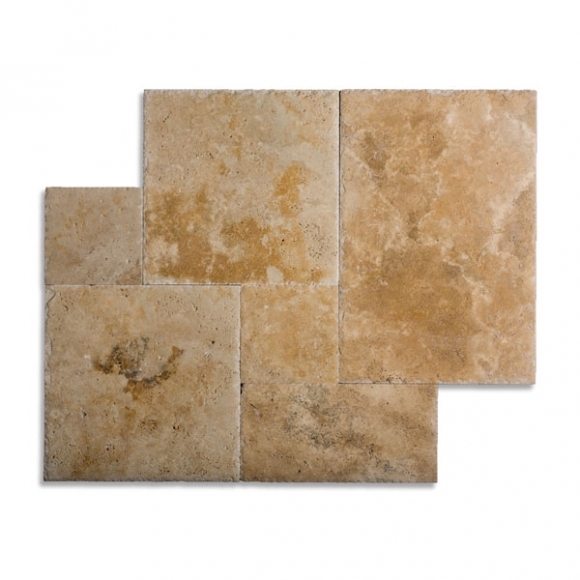 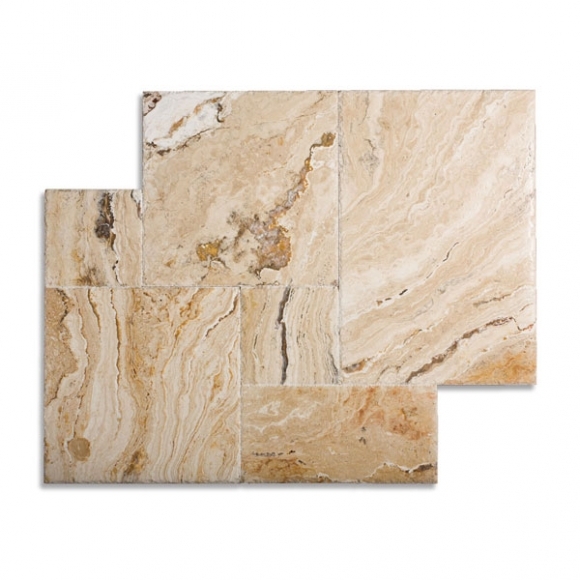 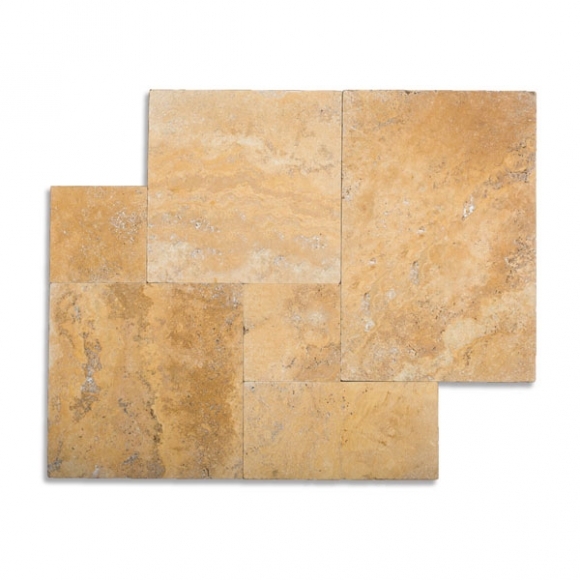 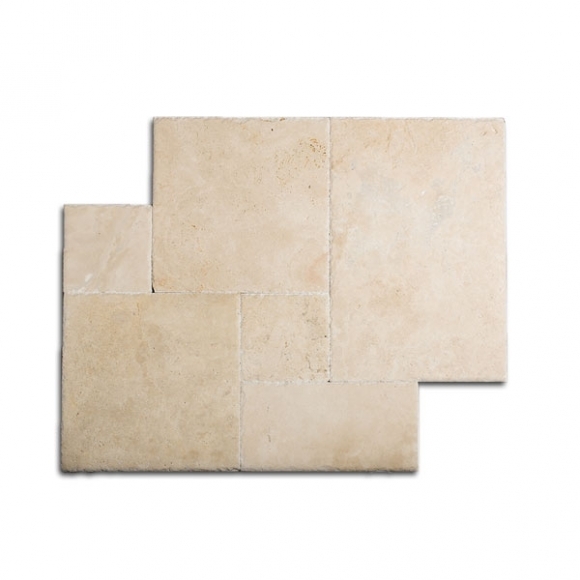 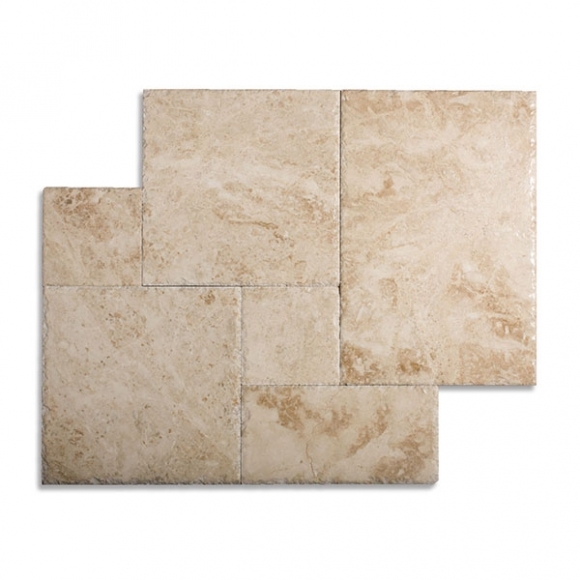 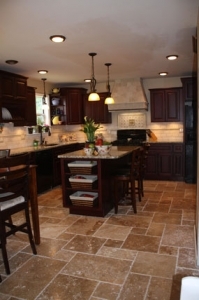 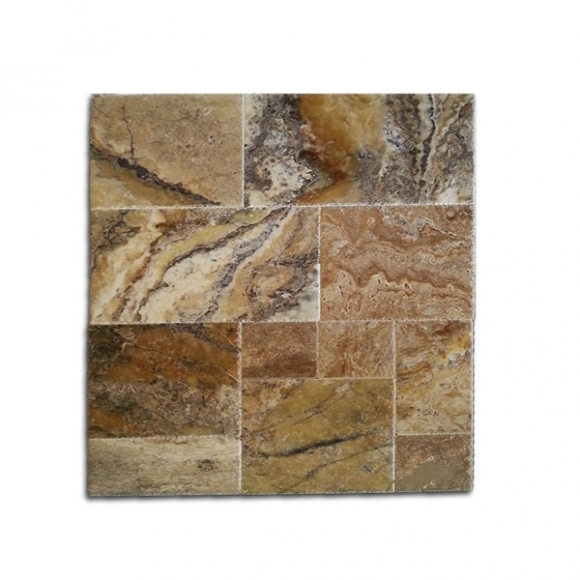 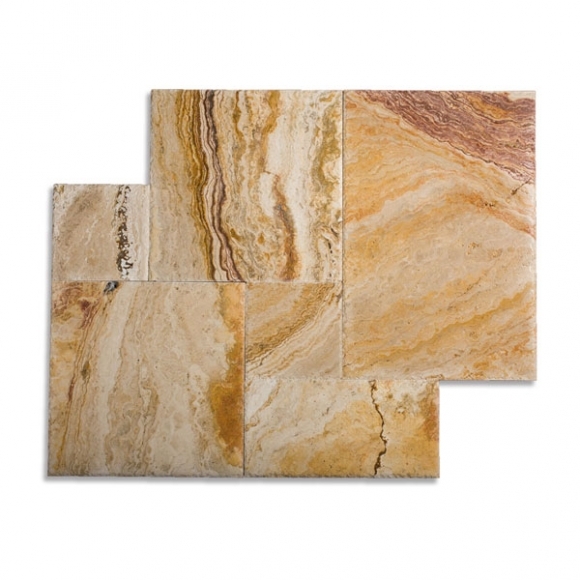 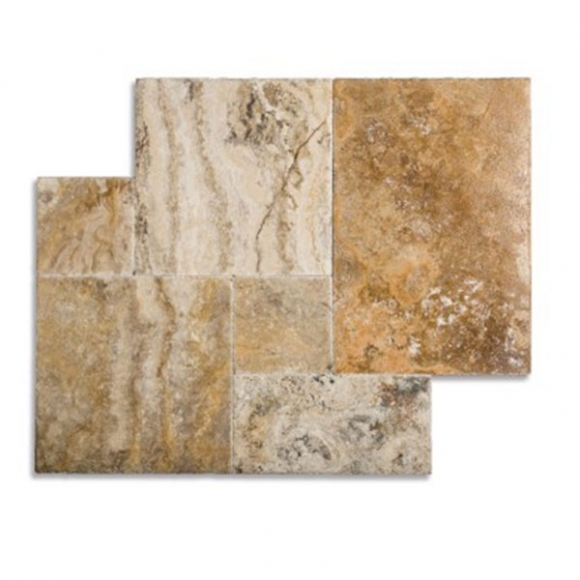 French Pattern travertine tiles are a great choice for any interior and exterior spaces. 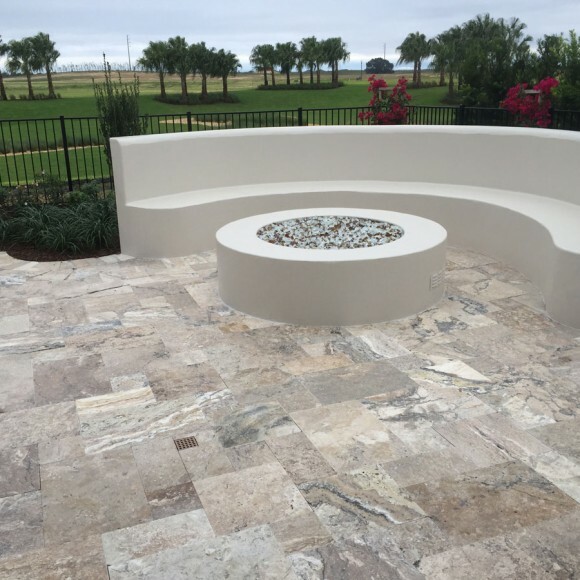 The tile thickness (1/2″) gives the advantage of installing them anywhere there are concrete slabs, including pool decks, walls, lanais and balconies. 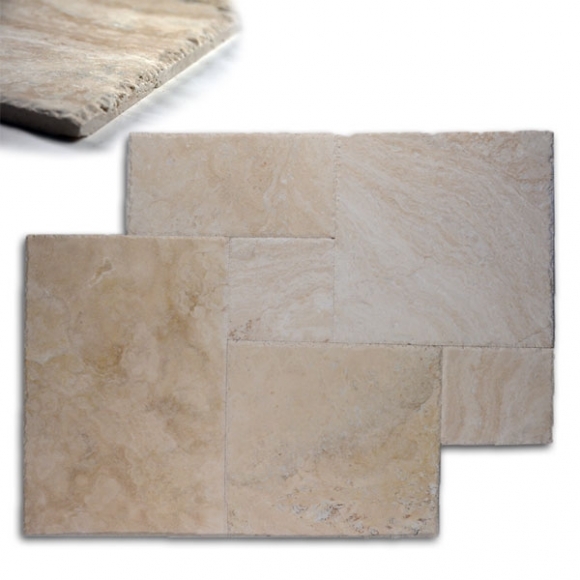 Our French patterns are laid on stone, concrete or other hard surface substrates. 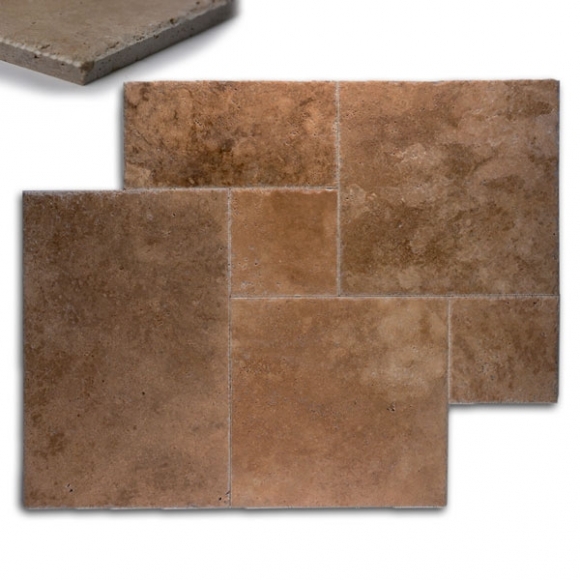 They are packed and shipped in “bundles” of 8 sqft , two bundles are a referred to as a “set” and will cover 16 square feet of area. 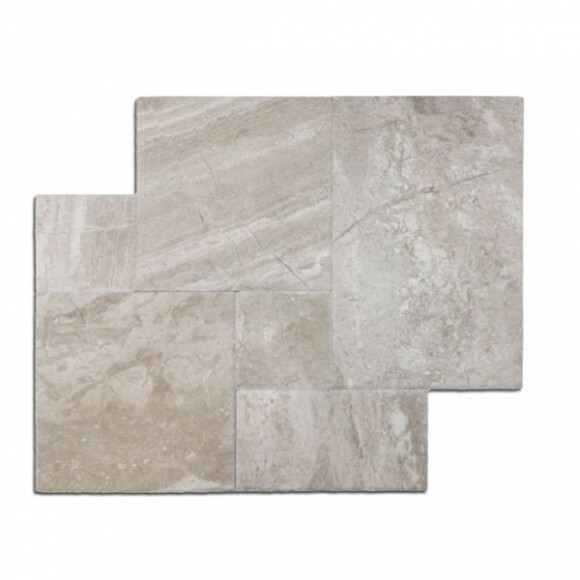 Each bundle includes: (four) 8-inch by 8-inch, (two) 8-inch by 16-inch, (four ) 16-inch by 16-inch and (two) 16-inch by 24-inch tiles in each bundle.